Dance Arts Center - Congratulations ...our best ever Nutcrackers..our Medford Civic Ballet and Dance Arts Center dancers, actors and volunteers are fabulous in our lovely Victorian Nutcracker Ballet Plus Nov. 24 at 7pm and Nov 25 at 3pm ... Tickets on sale at the door one hour befor show time...children are only $5, seniors $8 and adults $10..You will love our fabulous Victorian Nutcracker Two Act Ballet. Our Professor Droselmeyer and his apprentice are father and son and have been working to gether on our big Nutcracker for more than five years. Their musicality and drama skills create our act one party scene with charm and humor. All of our dancers enjoy the friendliness and kindness of our Nutcracker Ballet that brings this great classic to life in act one and act two. It is more than just classic ballet and colorful choreography. It will warm your heart with beautiful memories. Tickets on sale at the door one hour befor show time...children are only $5, seniors $8 and adults $10..You will love our fabulous Victorian Nutcracker Two Act Ballet. Our Professor Droselmeyer and his apprentice are father and son and have been working to gether on our big Nutcracker for more than five years. Their musicality and drama skills create our act one party scene with charm and humor. All of our dancers enjoy the friendliness and kindness of our Nutcracker Ballet that brings this great classic to life in act one and act two. It is more than just classic ballet and colorful choreography. It will warm your heart with beautiful memories. .Our rmission is to bring the best in classical ballet and dance educaation to children teens and adults in southern Oregon. We provide dancers and their audiences to learn to appreciate the power, grace and poise of classical dance in live performances as well as television performances. We are always looking for new talent and support volunteers. Please call us at our Dance Arts Center at 541-772-1362 for more info and details. 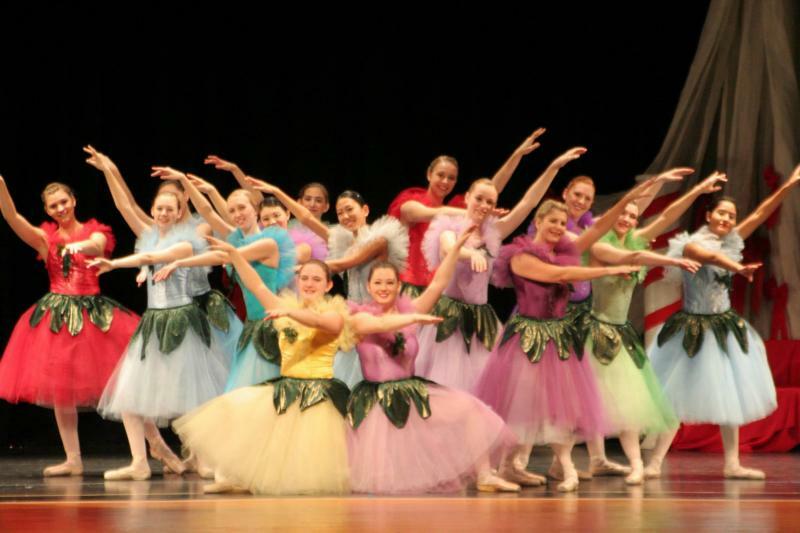 The Dance Arts Center is the home of the Medford Civic Ballet and the Dance Arts Academy and our full service dance and action wear store for the best in dance and dancewear. Waltz of the Flowers opening Act II inspired by Harold Christenson's San Fransisco Ballet Nutcracker.